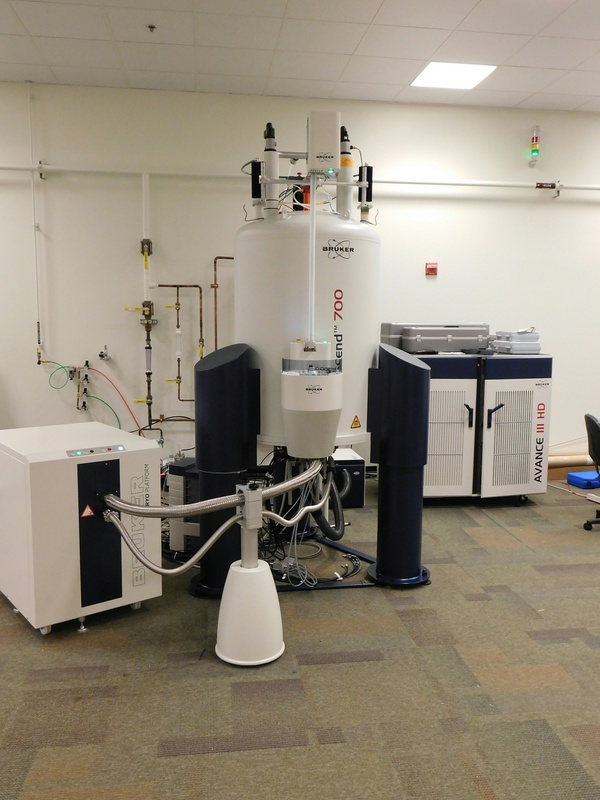 This instrument is primarily used for solution NMR using a cryo-probe. 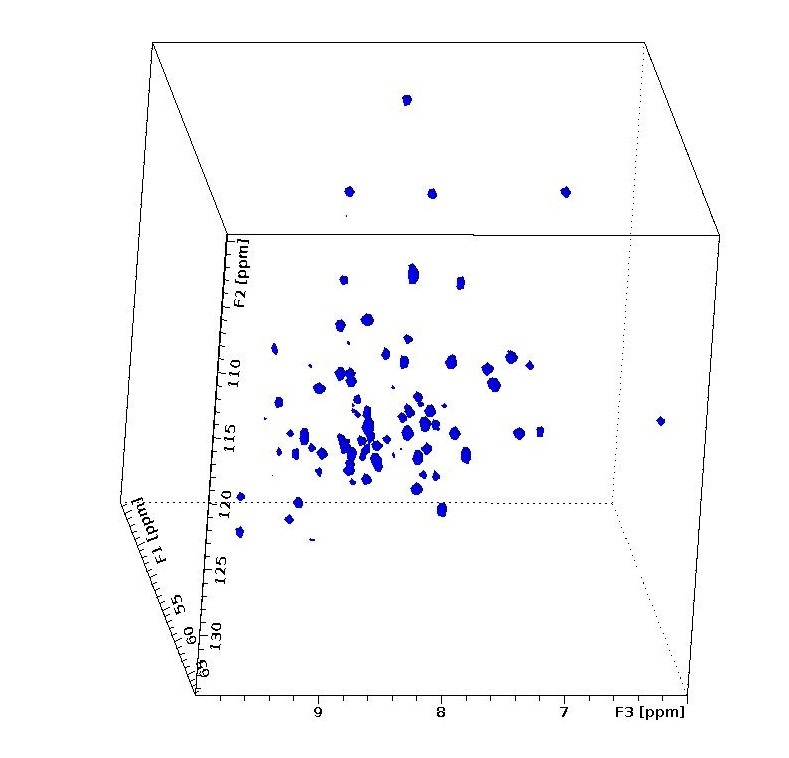 Solid-state NMR experiments will be waitlisted. E-free triple resonance 13C/15N/1H MAS probe for 3.2 mm o.d. rotors. The maximum MAS speed is 24 kHz. Variable temperature from -80 to 80 oC. Double resonance low-gamma MAS probe for 4 mm o.d. rotors. The maximum MAS speed is 15 kHz. Tuning range: 1H, 109Ag - 27Al. Variable temperature from -30 to +70 oC. Double resonance HX very-fast MAS probe for 1.3 mm o.d. rotors. The maximum MAS speed is 65 kHz. Tuning range: 1H, 15N - 31P. Variable temperature from -30 to +70 oC.